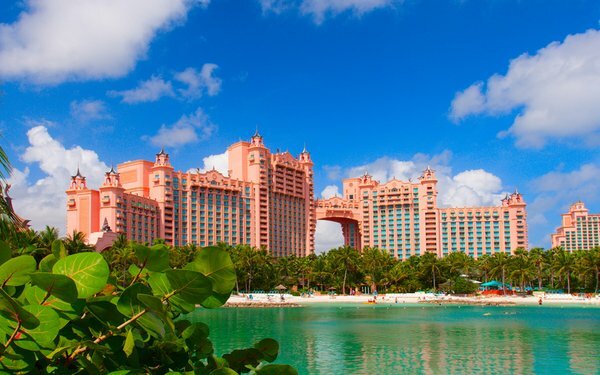 Atlantis, Paradise Island resort is hiring Saatchi New York as the Bahamas resort's new AOR responsible for advertising and communications efforts. This partnership follows the summer launch of a print and digital campaign for the resort’s luxury property, The Cove. The campaign attempted to convey the island's culture, including the Bahamian spirit and key personalities found at the Paradise Island resort. The selection occurred without a review. Previously these duties were handled internally. However the award follows an unusual backstory where the resort named enso as its AOR in March 2017 to reimagine the resort's brand purpose and platform, including positioning, partnerships, and real-world impact initiatives. That partnership was led by Atlantis' president and managing director Howard C. Karawan who had recently returned to the company after 10 years. His arrival sparked a reunion with enso's Kirk Souder who he originally partnered with when they first developed the upscale destination's inaugural campaign twenty years ago. However, it appears once Karawan left in September 2017, this AOR partnership also dissolved. Now, Atlantis, Paradise Island seeks to capture authenticity with Saatchi. “Our resort has evolved and we look to Saatchi & Saatchi to continue to tell our story in creative and impactful ways that connects consumers to the heart of what Atlantis, in The Bahamas, represents as a travel destination,” stated Audrey Oswell, president & managing director, Atlantis, Paradise Island.